PHOENIX/KISA twin shaft logwashers are an essential component of a wash plant's aggregate washing equipment. 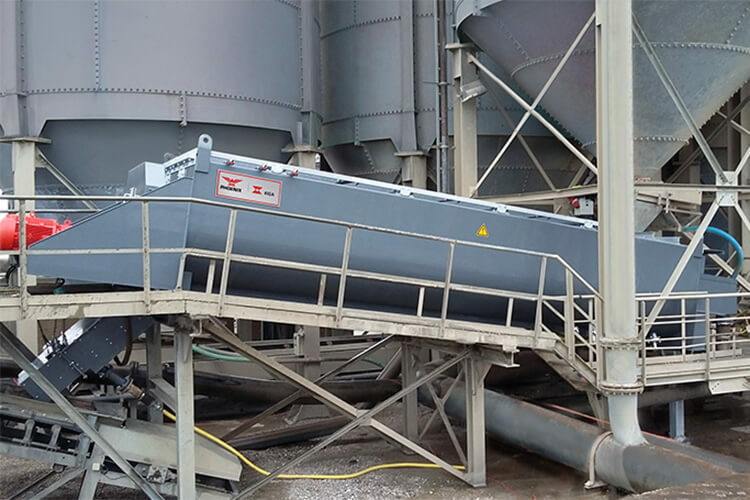 The logwashers remove dirt, loam, clay contaminants, and other deleterious materials from raw aggregate materials such as dirty limestone, dolomite, and high silica content gravel. 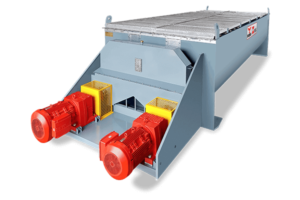 With the capability of handling large rock, high tonnage feed capacities from 220 - 660 STPH and rugged shafts and paddles, these logwashers are suitable for a variety of applications requiring severe scrubbing and de-agglomeration. 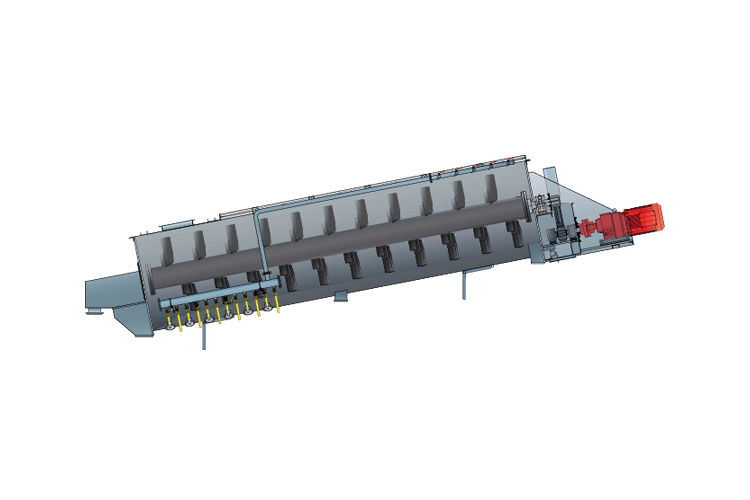 The SWX twin shaft logwasher is available in several power arrangements and tonnage outputs and accommodate rock up to 12 inches. 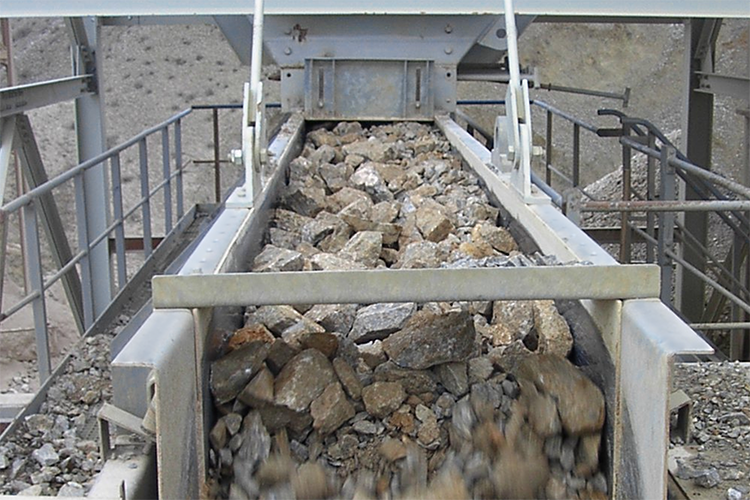 Dirty aggregate material is fed to the lower end of the logwasher trough. 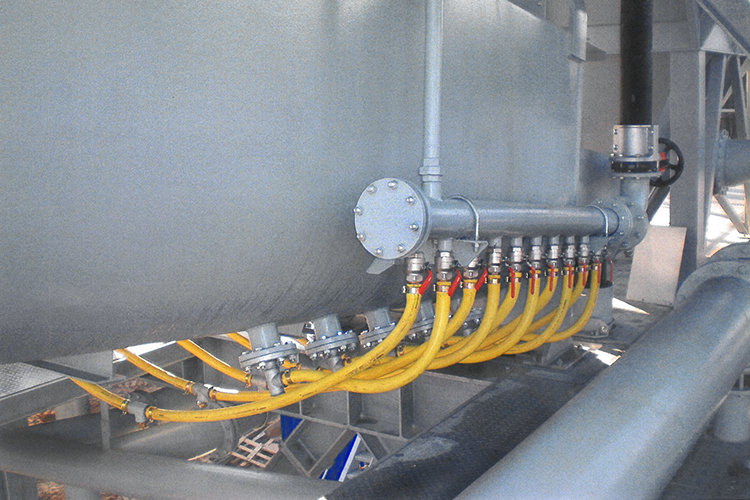 Water added via spray bars at the top end of the trough. Solids are slowly advanced up the inclined trough. 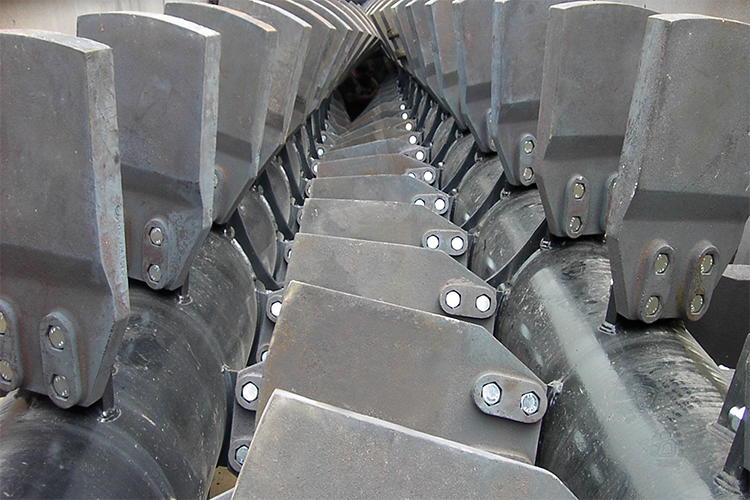 Interlocked, counter-rotating twin shafts with staggered paddles create intense paddle-rock & rock-on-rock shear. 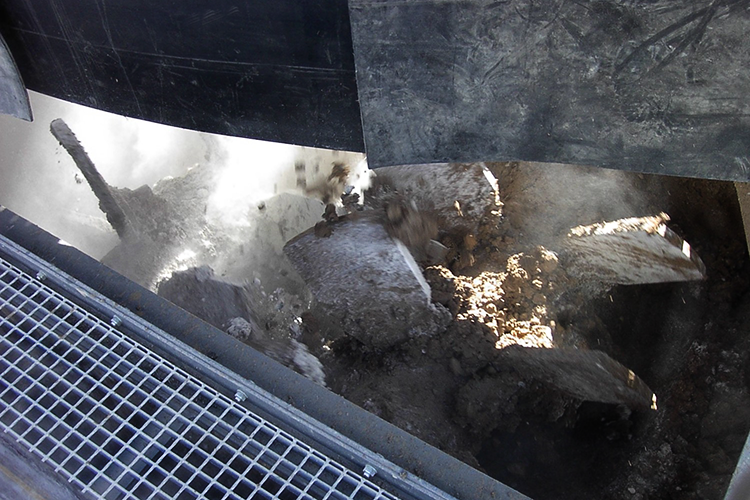 Scrubbed material dumps from the discharge chute. 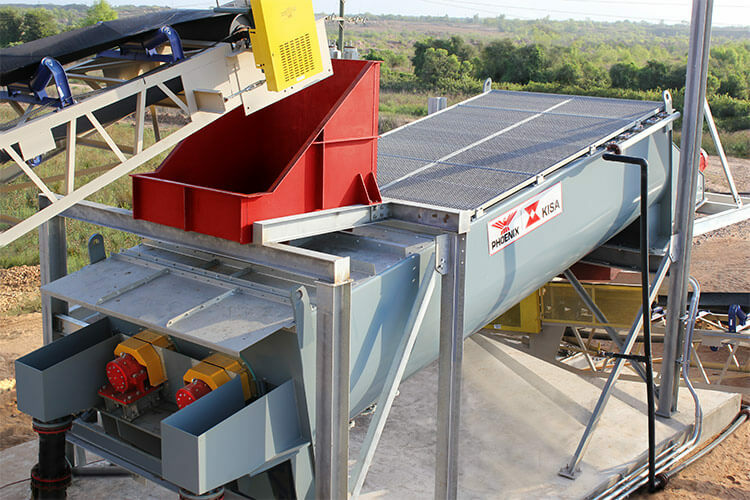 Discharge for liberated waste fines & low density material that is suspended in effluent.